The news took the achievements of Narada in various business areas in 2017 and listed the highlights of the energy storage and renewable resources business. We share this news here. 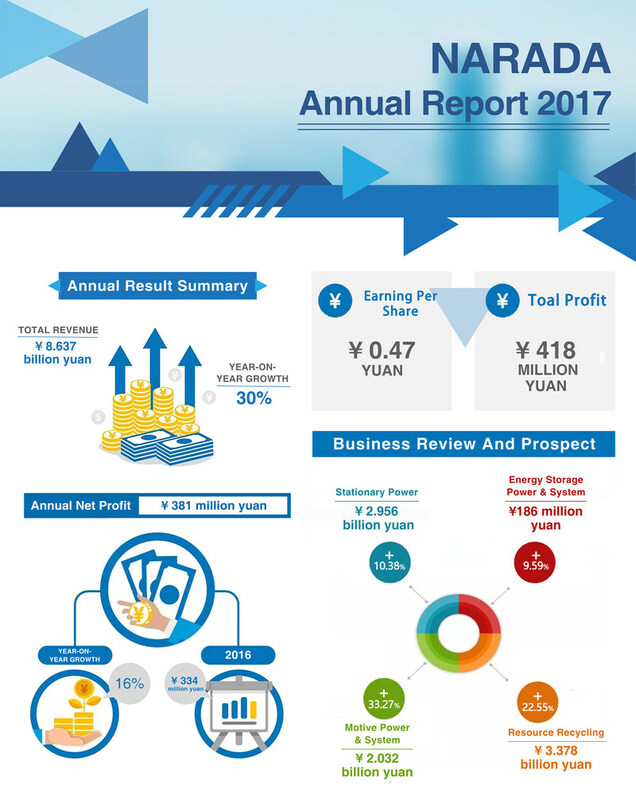 China’s leading energy storage manufacturer and developer, Narada Power Source Co. Ltd., with a 30% growth in 2017, the total revenue in 2017 was 8.637Billion yuan(US$1.376 billion) The net profit stood at 381 million yuan, up 16% compared with that of 2016. 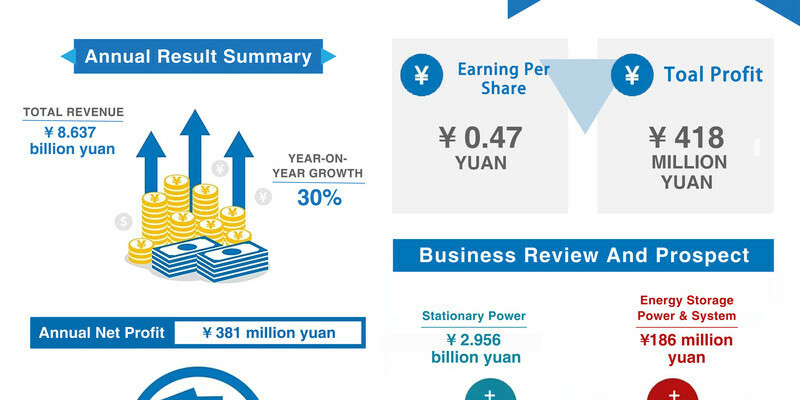 Narada’s battery business contributed 5.174 billion yuan, among those the growth rate of stationary power, energy storage power & systems, and motive power & systems was 10.38%, 9.59%, and 33.27% respectively. Narada first started out as a battery manufacturer and retailer and now has made significant inroads in providing systems solutions and operation services for power generation, storage and recycling, forming an industrial chain. 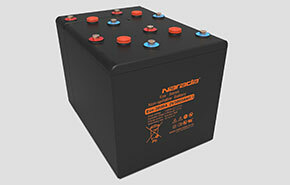 Narada has acquired 49% equity in Huabo Technology, a leading player in China’s battery recycling industry. It is expected that the capacity of Huabo Technology in lead battery recycling will exceed one million tons in the future. 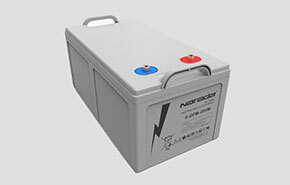 According to the annual report, the energy storage project build by Narada in Wuxi Singapore Industrial Park with a capacity of 160MWh, was the first example of electrochemical energy storage system providing electric power ancillary services in China, was put into operation and participated in the power demand side response service for Jiangsu province in February 2018. 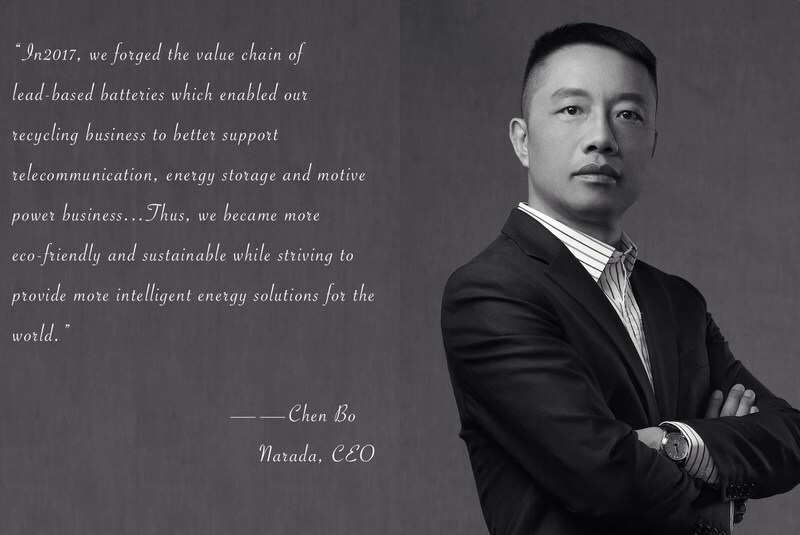 Narada’s leap from the industrial and commercial customer side to renewable energy generation was marked when Narada successfully put Qinghai Huaneng Integrated Photovoltaic Energy Storage Station into operation. 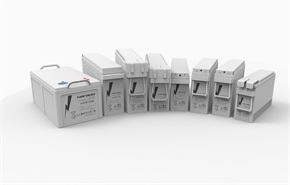 Narada not only invested in powertrain system projects to enhance the integration capacity of new energy vehicles but have also tapped into the oversea motive battery market with sealed deals in the Netherlands, UK, and Thailand. 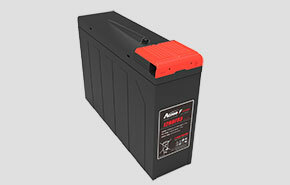 The revenue of a motive battery for electric bicycles have increased 57.94% annually. The annual report also shows solid development in Narada’s R&D sector. By the end of 2017, it held 104 valid patents, including 45 for inventions, 41 for utility models and 18 for exterior designs. The revenue from R&D accounted for 3.03% of the total. 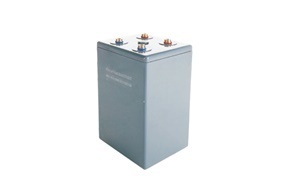 TS series, under name of Traction Series, is VRLA battery special designed for diesel locomotive and electric locomotive starting, lighting and signal system. 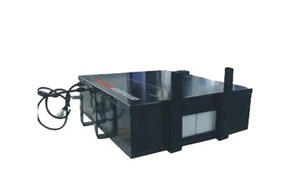 With reliable heat sealing, patented pole sealing technology and special deep cycle alloy formulation, TS series has excellent deep discharge recovery, large current discharge performance. 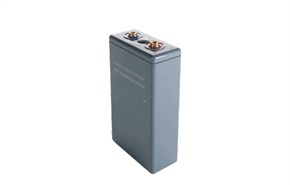 • For locomotive with diesel engine running 4-6 years. • For locomotive with electric engine running 8 years. 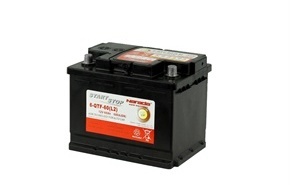 The SS series, name of start-stop, is VRLA battery special designed for automobiles and ideal for start-stop applications. 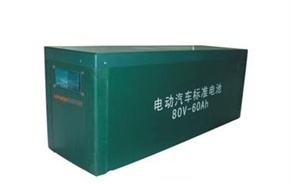 Adopting AGM(Absorptive Glass Mass) technology, the lead carbon technology, the high temperature battery technology and CCPP technology, the SS series batteries provide high performance including excellent cold cranking, extra-long life, wide operating temperature range and particularly good cycle life at HRPSoC. 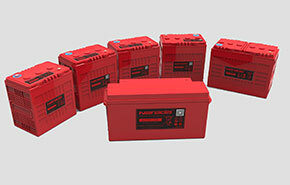 The batteries are maintenance-free and highly resistant to shock and vibration. • Automobile, ideal for Start-stop. DC series, name of Deep Cycle, is electric vehicle VRLA batteries, special designed for Electric vehicle such as electric automobile, golf car etc. 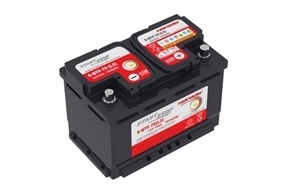 Combining advanced battery design technology with robust materials and construction, DC series provide excellent cycle performance, maintenance-free and highly resistant to shock and vibration. 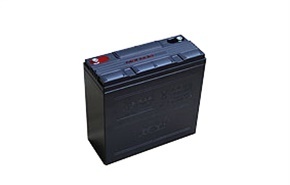 • Electric vehicles including electric automobiles, electric road vehicles and so on. 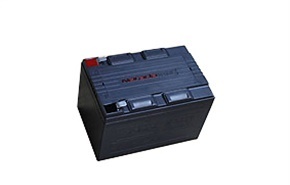 • Electric buses, municipal engineering vehicles, etc. 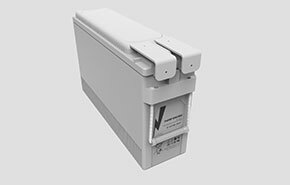 EV series, name of Electric Vehicle, is standard LiFePO4 battery modular, it is special designed to provide power for electric automobile. 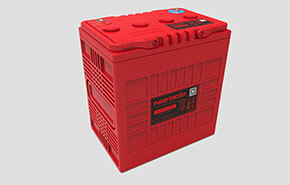 With LiFePO4 (Lithium Iron phosphate) technology make EM series long cycle life, high energy density, high safety. 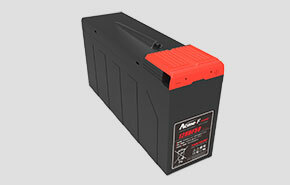 DZM series is electric bicycle battery. 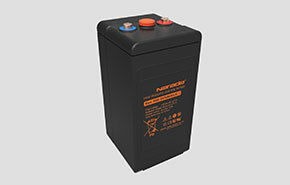 With international advanced AGM technology, maintenance-free design, Narada new DZM series polymer gel lead acid battery comply with GB/T22199-2008 national standards and provide large capacity, high specific energy, low self-discharge, long life and ensure no leakage, safe and reliable. 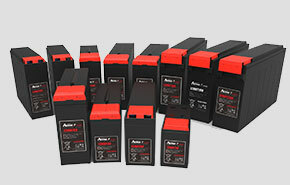 DZM is ideal for electric bicycles and other motive power. • Specially designed safety cover to improve safety performance. • Can be used in many orientation (except inversion). 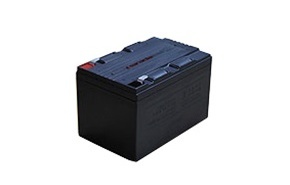 • Not only have the advantages of VRLA technology, but also well maintainability, and regular • maintenance would extend battery life 50%~100% or more. • Novel and unique appearance. 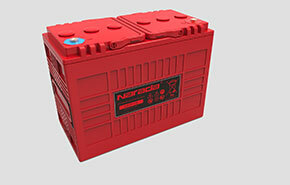 • Manufactured in Narada ISO 9001:2000 and ISO 14001:2004 certified production facilities. 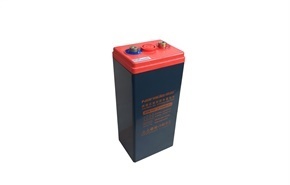 Eos series, under the name of “God Eos”, is a most typical 2V large capacity VRLA battery in Narada, it has four generations and widely implemented in field where large batteries needed. With patent terminal sealing, Lid sealing & Safety valve, Eos series is installed horizontal, and bring a lot of benefits, e.g., less footprint, easy installation & maintenance, long life. Eos series is mainly designed as standby power for Telecom, Datacenter, Utilities, and Uninterruptible power supplier. 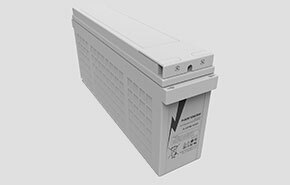 MP series, under the name of “Marathon Purpose”, is a front terminal VRLA battery too, but with more conservative design to ensure high reliability and long life. Front terminal and centralized venting system design makes MP series become popular product for standard 19”/21” cabinet since easier installation & maintenance. 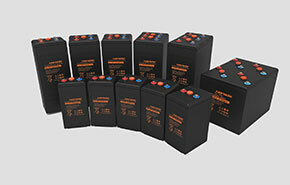 MP series is mainly designed for Telecom, UPS as a premium front terminal battery. 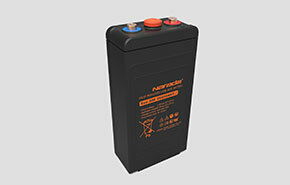 Acme series, under the name of “the Best”, is a first front terminal VRLA battery in China. Front terminal and centralized venting system design makes Acme series become popular product for standard 19”/21” cabinet since easier installation & maintenance. 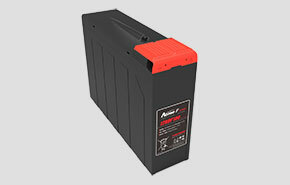 As a stationary battery, Acme series provides higher specific energy and long standby life.